Anyone who has ever found themselves balls deep in a cheese binge at 3am, surrounded by Edam wax and drying your tears on a cracker will know that the thirst for pasturised goods is all too real. 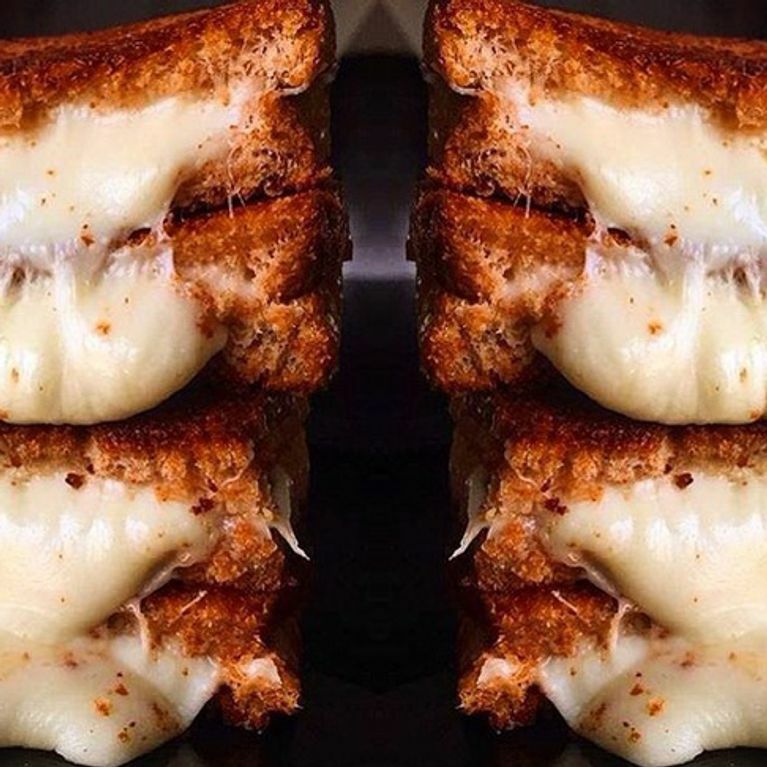 Well, scientists have finally proved that there’s a reason you love cheese so much - it’s because it’s basically as addictive as cocaine. So you stand by the cheese table at every party, telling everyone that you're addicted to the stuff through a mouthful of camembert. Turns out, you're probably right. Why else would a cheese and pineapple hedgehog look so damn appetising past the age of 12? A study carried out by the University of Michigan and supported by the National Institute for Drug Addiction examined why some foods were more addictive than others. Researchers found out the most addictive foods from around 500 people who took the Yale Food Addiction Scale (take it at your own peril), which measures if someone has a food addiction. The study explains that the reason why your cheddar is so damn moreish is be​cause it contains a protein called casein, which releases opiates (yeah, you heard right - OPIATES) called casomorphins during the digestion process. Casein is often fondly referred to in the food science world as "dairy crack". These casomorphins really mess with your dopamine receptors. Dopamine is the stuff that is released when we experience something pleasurable, like eating twenty babybels in 2 minutes. When these casomorphins f*ck with your dopamine receptors, it triggers addictive elements in the brain. Nicole Avena, a co-author on the study, said: "This is a first step towards identifying specific foods, and properties of foods, which can trigger this addictive response. ​"This could help change the way we approach obesity treatment. It may not be a simple matter of 'cutting back' on certain foods, but rather, adopting methods used to curtail smoking, drinking and drug use." At the other end of the scale, healthy foods such as brown rice and salmon, were found not to be addictive. Which makes total sense.